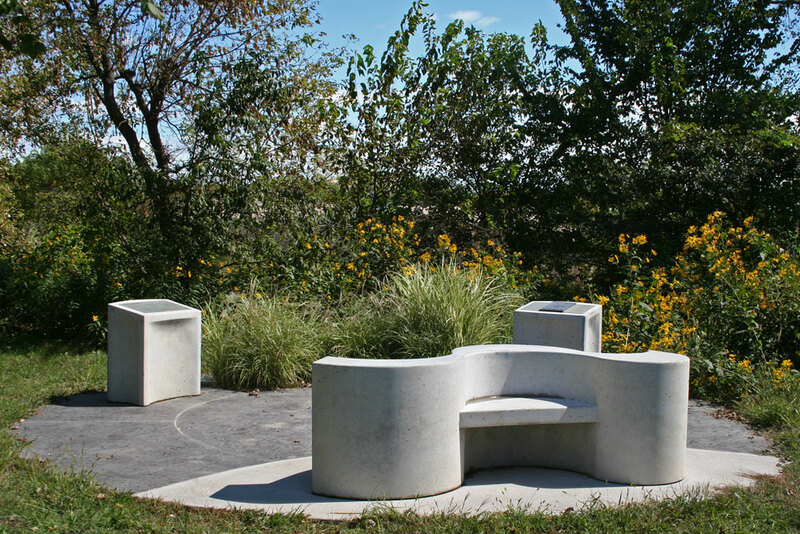 This is a rest and educational area on the Northern Loop Trail in Fairfield, Iowa. 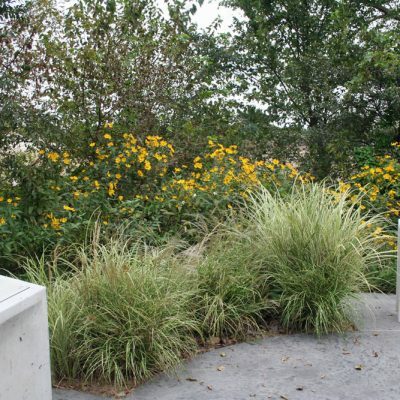 The plaza honors engineer Bill Matkin who designed the nearby bridge over Highway One. 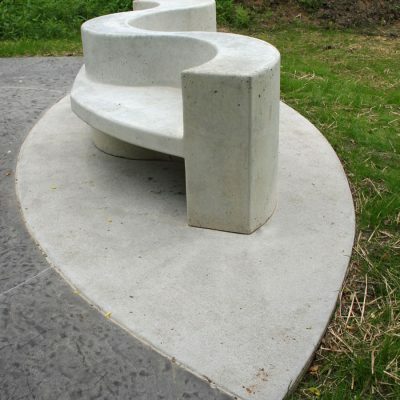 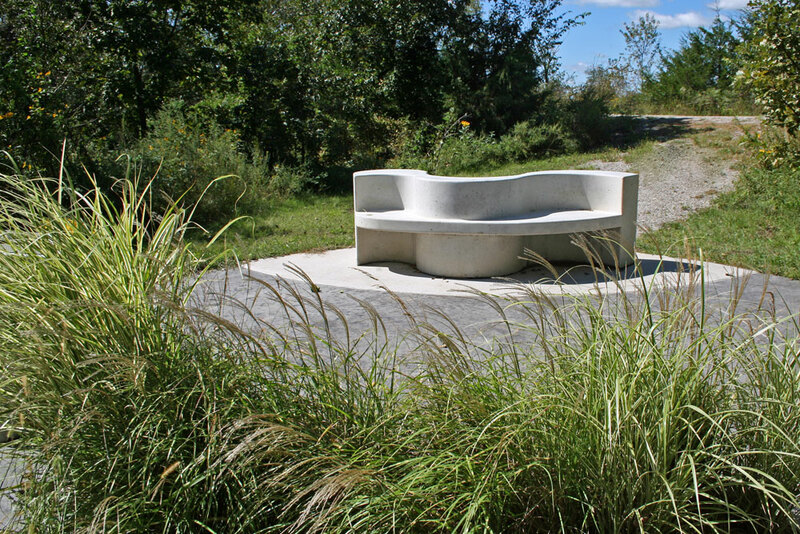 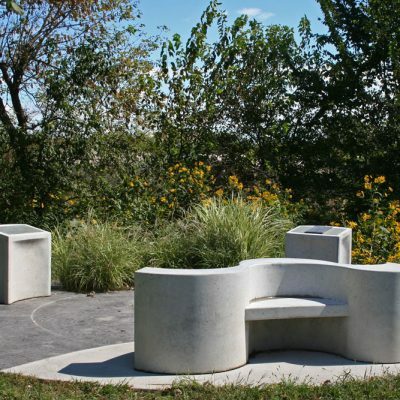 The spot provides a quiet area for rest and contemplation. 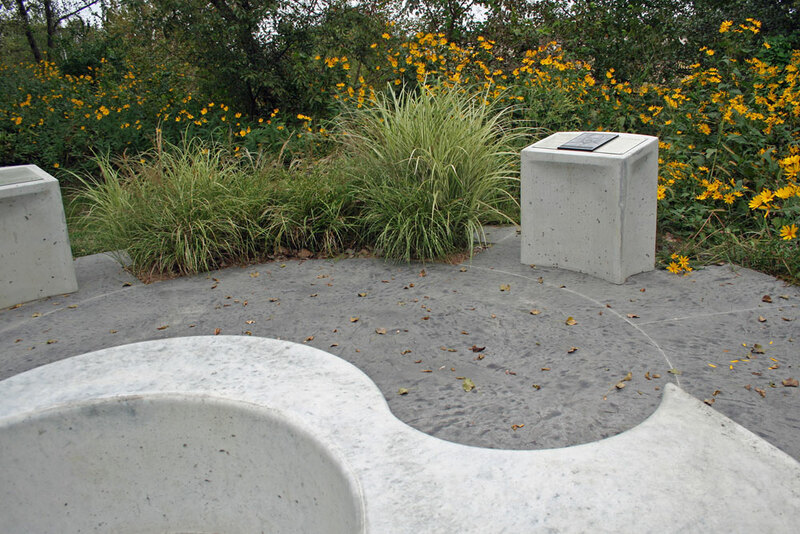 Signage informs about the history of the bowstring truss bridge and about the life of Bill Matkin. 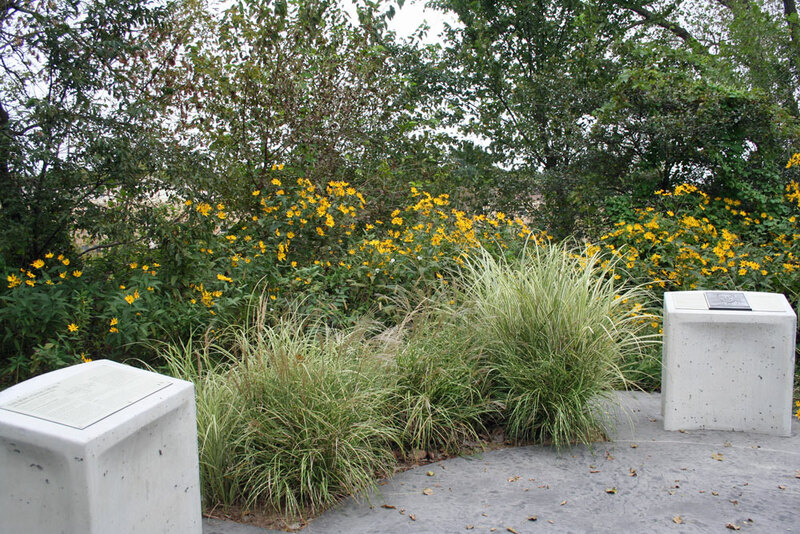 Ornamental grasses will reach 4-5 feet in height when mature, creating an additional dramatic element. 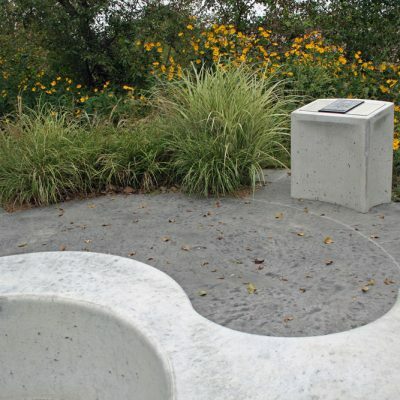 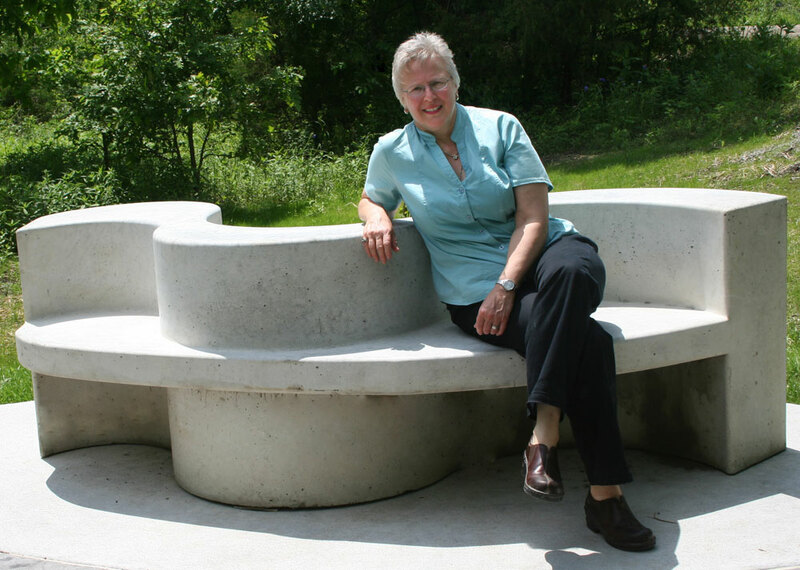 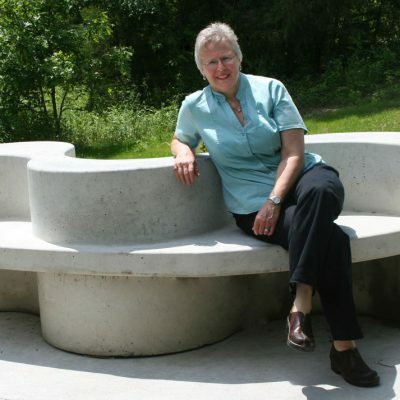 The project was funded in part by a grant from the Iowa Arts Council and the National Endowment for the Arts. 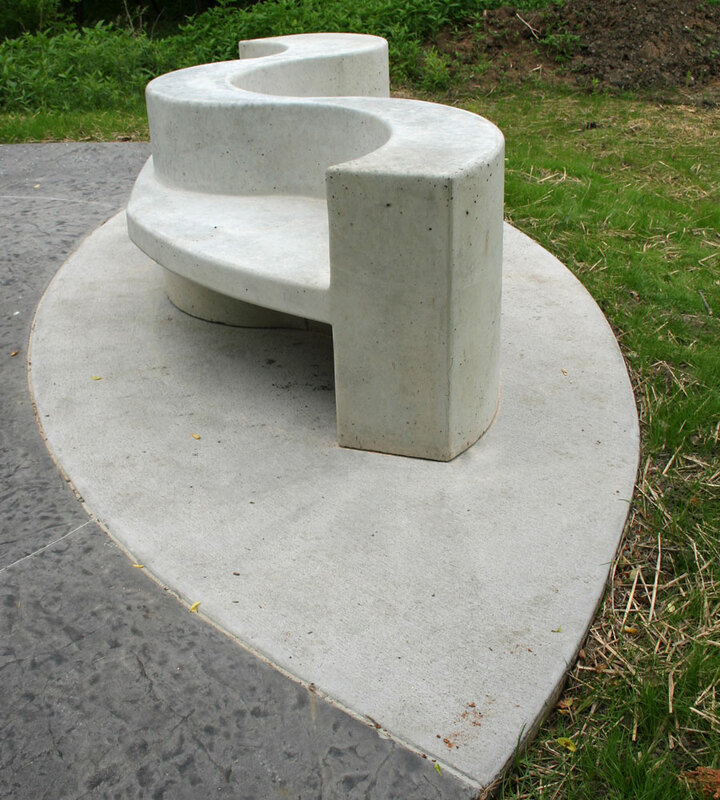 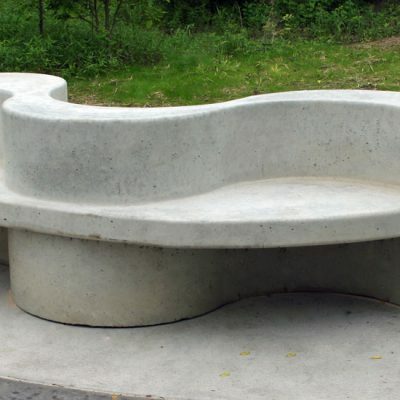 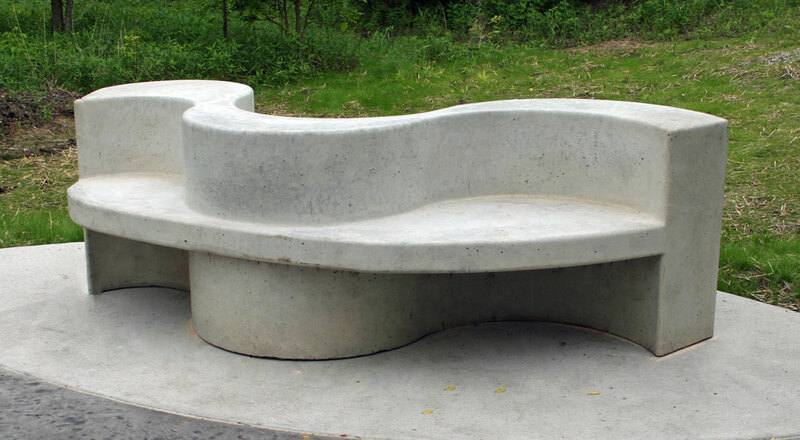 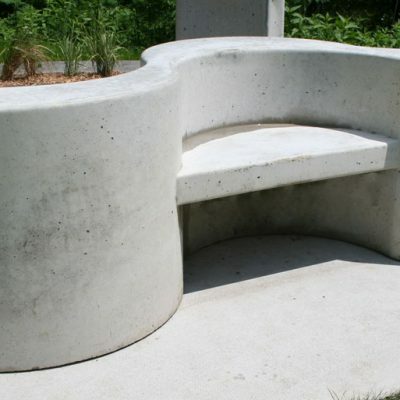 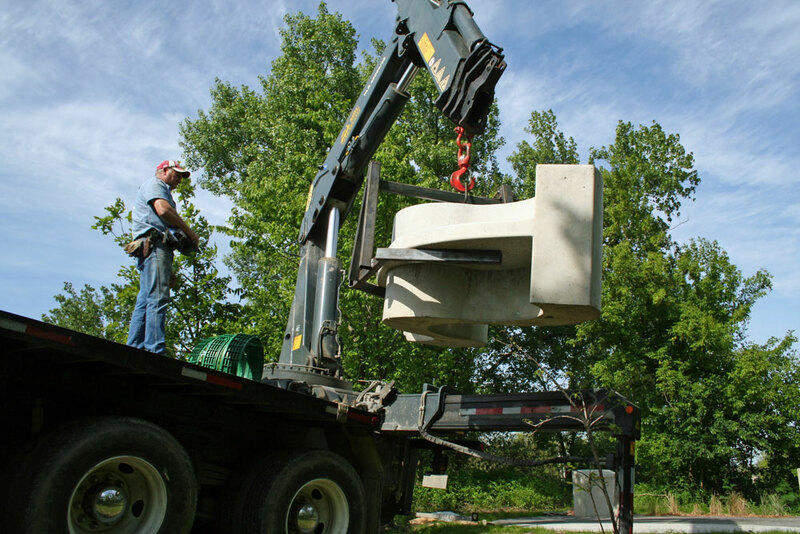 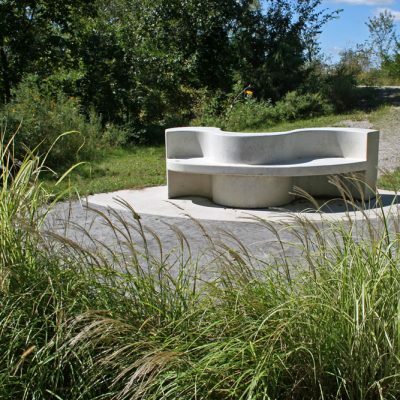 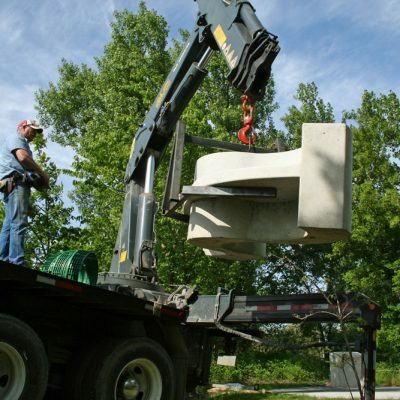 The artist worked in partnership with the Jefferson County Trails Council, Royale Concrete (plaza floor), Advantage Plus (molds for bench and signage pillars), and Fairfield Precast (pouring of bench and pillars). 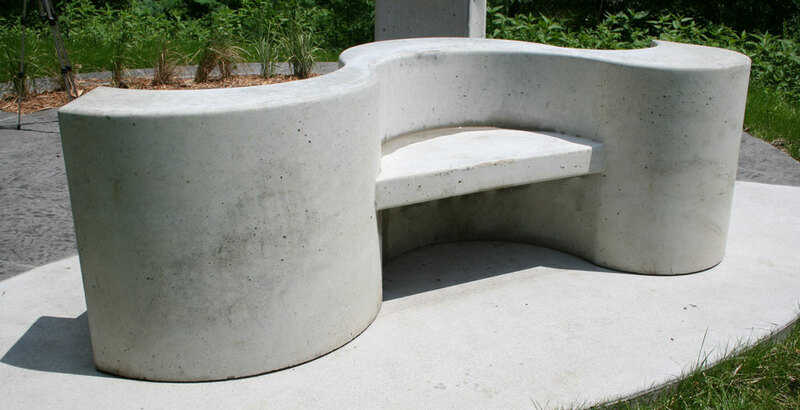 Special appreciation to Erin Jo Chung for design input on shape and layout of plaza floor.